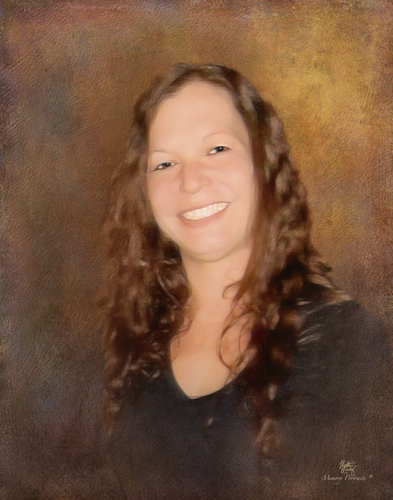 Meredith Margaret Woodell, age 35, passed away on Monday October 22, 2018 at Wake Forest Baptist Medical Center. A celebration of life service will be 11:00 am Saturday at First Baptist Church of Greensboro. The family will receive friends from 10:00am-11:00am in the church atrium. Meredith was born in Guilford county to Ray and Rhonda Woodell. She was a graduate of Western Guilford High School, and attended Guilford Technical Community College. She had a passion for horse riding and received numerous ribbons while participating in horse shows. In addition to riding horses, she had a love for teaching others to ride. She had a talent for art, and enjoyed sharing it with family and friends. Along with art, she loved reading, camping, and cooking. She loved the Lord, and accepted Him as her personal Savior. In addition to her parents, she is survived by her son Noah Grae Woodell; sisters April Kerans and Sandy Gunnell; brother Barry Woodell. Meredith felt her son Noah was her greatest gift in life, and loved him with all her being.